We are counted amongst the top companies involved in offering a wide array of Dome Sticker. We develop these using superior quality material and advanced technology in conformity with the industry laid standards. Offered products are highly reckoned among our customers for their excellent quality and good adhesive properties. Christian Cross Stickers. 3Sizes. Price - 5/- small size. Price - 10/- medium Size Price - 15/- Big Sign Size. We have a huge range of bubble stickers decals to choose from in different sizes and colors, express this art on your room wall. We only use high quality german imported material in our Decals and our expert designers can make any custom decal from your inspiration. Manufacturer & Exporter of 3D Dome Stickers. Our product range also comprises of Hologram Stickers, Dome Labels and Graphic Overlay. Banking on the skills of our qualified team of professionals, we are involved in providing a high-quality range of Bubble Sticker. We are instrumental in offering a Bubble Sticker to our clients. 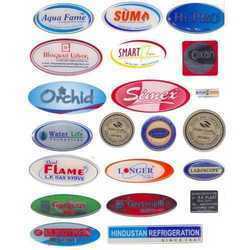 As per the requirement of clients, we supply these Bubble Sticker to provide complete customer satisfaction. These Bubble Sticker are manufactured using the superior quality material that is procured from authentic vendors of the markets.